Write to South Korean conglomerates – Urge your government to ban the dog & cat meat trade now! "Never, never be afraid to do what's right, especially if the well-being of a person or animal is at stake. Society's punishments are small compared to the wounds we inflict on our soul when we look the other way." -Martin Luther King, Jr.
Home / What You Can Do / Contacts For Protest – South Korean Companies / Write to South Korean conglomerates – Urge your government to ban the dog & cat meat trade now! South Korea’s Conglomerates (called “Jaebol”) have an enormous power and influence over their government and people because they make up the majority of their economy and employ millions of people combined. While enjoying the profits by exporting their products and services to us, they are arrogantly ignoring our suffering and anguish caused by their heinous cruelty to the animals we love. It’s time they stop ignoring us who helped them live a very comfortable lives. 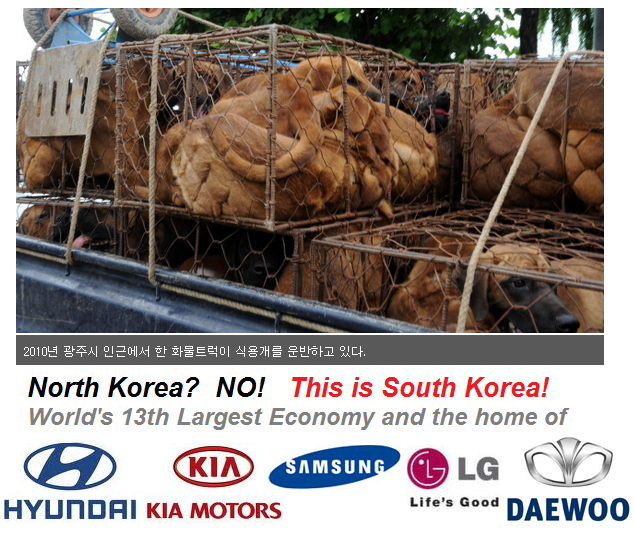 Please write to the South Korea’s largest companies today! Without their participation, ending the dog meat cruelty in South Korea is NOT POSSIBLE! And why not include a photo from this page with the letter? Thank you! Click for Samsung companies offices around the world! Click for S. Korean Companies Contact Info! 4. Invite all your friends to help.